£50 non refundable deposit required when booking. Full balance payable 6 weeks prior to stay. 1. PASSES for 2 Adults & 2 Children INCLUDED FOR 7 NIGHT STAYS ONLY. 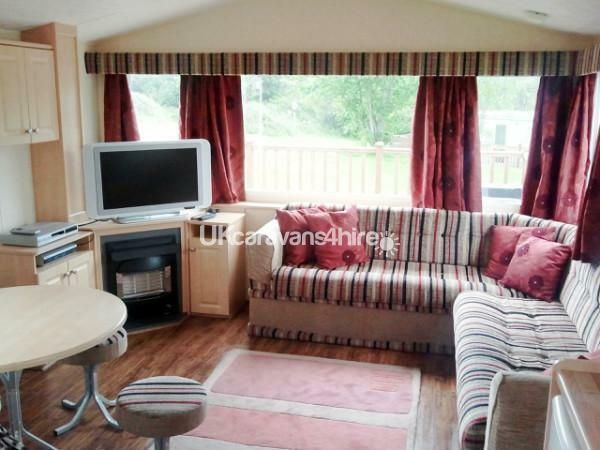 This privately owned well maintained 3 bedroom caravan is situated on Hafan Y Mor Haven, the entire seating area has recently been reupholstered, with new vinyl flooring for 2017 in the bedrooms and the hallway giving a light and airy feel. 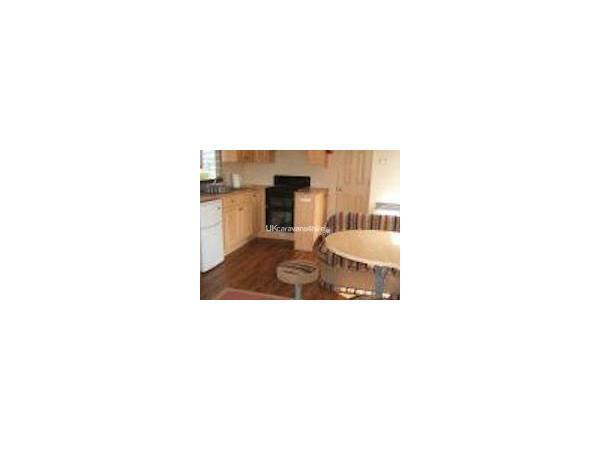 The caravan benefits from electric heating throughout and is equipped with all your home comforts, a toaster, microwave, fridge/freezer, 32ins Freeview LCD tv, DVD Player and a selection of films. 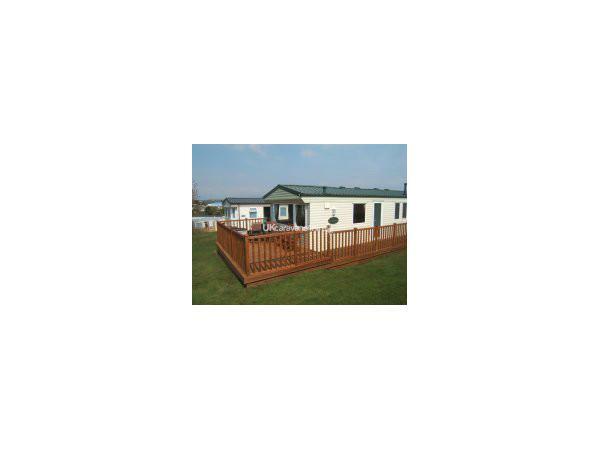 To make your holiday at Hafan y Mor relaxing our caravan has a large secure decking area giving fantastic views of Snowdonia. The secure decking area is ideal for families with young children, there's a patio table with 6 chairs and 2 sun loungers for your comfort. 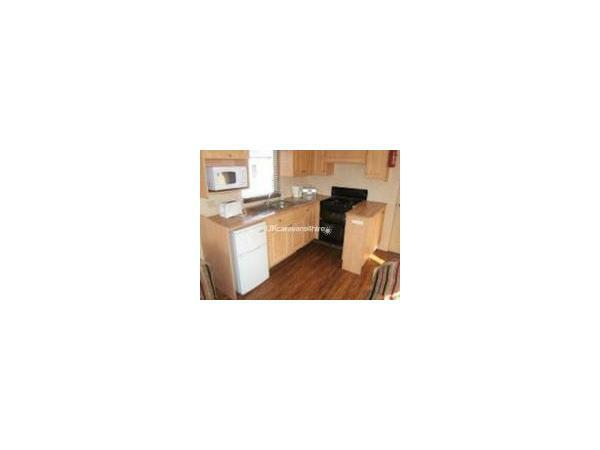 There is a double room with a TV/DVD Player and 2 twin rooms, all room have wardrobes for storage. Pillows and duvets are provided. For a small fee sheets, pillow cases and duvet covers can be provided. £50 non refundable deposit required when booking + a £50 security deposit which will be returned within 7 days after the caravan has been checked and has been left clean and tidy as found. Full balance payable 7 weeks prior to stay. 2 x Adult & 2 x Children PASSES ARE INCLUDED WITH ALL BOOKINGS OF 7 NIGHTS. Full details of your party required upon booking. Lovely caravan. Had everything we needed. Lovely people who own it. Highly recommend. Would definitely be going again soon. Thank you both.